When you decide that the time has come to replace your windows, you will typically find that any kind of replacement will create a dramatic difference within your home. Whether you are simply updating the décor, adding value to your property, or improving the energy efficiency of a structure, window replacements can be an ideal solution. However, that doesn’t make the choice of which material to use any less important. Fortunately, replacing your windows doesn’t have to be stressful. Understanding the differences between the vinyl and wood options will help you to prioritize your needs, and create a foundation for you to make the right decision. Here is how to identify the type of window that you home wants, and needs. Now more than ever, it has become increasingly important for homeowners to focus on their property’s ability to reduce temperature management costs and conserve energy. Vinyl is a tried and tested insulator, which can define it as a wonderful choice for windows. Through dual weather-stripping, you can maintain your windows’ efficiency, eliminating drafts and ensuring your home is as comfortable as possible. On the other hand, wood is also an insulating material, and wooden frames can be ideal for preventing the outside atmosphere from seeping into your home. A number of modern wooden windows can also be accessed with weather stripping services that provide a great defense against condensation and excess noise. However, if you fail to maintain your windows properly, you may find that wood struggles to withstand weathering, leaving your home more accessible to the elements. It’s fair to say that vinyl windows are often much less expensive to purchase than wood, and can offer years of valuable service. According to professionals, energy-efficient, high-quality vinyl windows can be an excellent investment, as the material does not swell or shrink when exposed to alterations in humidity. Combine that with strong manufacturers’ warranties, short turnaround times, and consistency, and you’ll find that vinyl windows are a very attractive option. Comparatively, wooden windows are more costly. 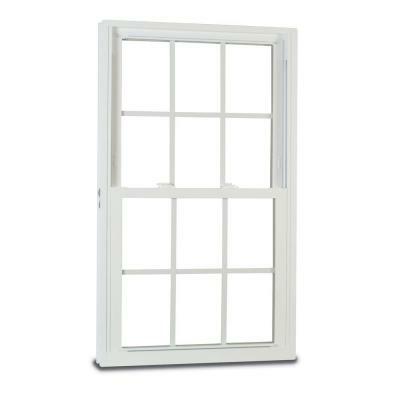 Because they utilize a natural resource, wooden windows are affected by the impact of supply and demand. Unfortunately, the price of natural and unique beauty is not only higher during installation, but also throughout the life of your window as well, due to the requirement of continuous upkeep. Vinyl windows require the absolute minimum in maintenance efforts. One of the reasons why this material is so popular with window replacements is that it doesn’t need to be stained, scraped or painted to look good. Generally, vinyl is unaffected by moisture, and can be insulated at its core to provide sound resistance and good thermal quality. What’s more, a vinyl window only needs to be cleaned occasionally. Wooden windows, on the other hand, require a degree of ongoing maintenance. If wood is left exposed to the elements, it can easily crack, fade or rot. However, wood can also be stained or painted to match other areas within your home. If you are drawn largely to the architectural appeal of your windows, and are willing to put time into the upkeep, wood replacement windows can be stunning. Wood and vinyl windows both have distinct positive and negative qualities when it comes to considering design and durability. Choosing the effect that is right for you will depend on which factors are the most important to you. Picking Tiles That Best Suits You.